In 1949, the community of Woodruff needed an area hospital. Its local doctor, Dr. Kate Newcomb (the Angel on Snowshoes) was aging and it was becoming more and more difficult for her to make the many house calls to which she was summoned. Dr. Kate once journeyed more than 376 miles in one day to visit patients in Tomahawk, Rhinelander and Ironwood, Michigan. In that year, a grateful patient gave Dr. Kate $1,000 to start a drive for a Woodruff hospital. That winter, the Lakeland Memorial Hospital Board of Directors was formed. Through the generosity of Mr. and Mrs. Clarence G. Larson, a parcel of land was procured. The hospital was to be built with local voluntary labor and donations. The fund drive began. Donations came in slowly. By 1952, the total was $50,000--$60,000 short of the estimated cost. The hospital board decided to start a building program on the hope that progress would stimulate further contributions, so on July 3, 1952, an official groundbreaking took place. The construction proceeded rapidly. On September 7th the cornerstone was set and workmen hurried to close the building in before the first snowfall. Sadly, when the hospital was about three-quarters completed, the building fund was depleted and construction had to be stopped. Thus, it was in a geometry class at Arbor Vitae-Woodruff High School in the fall of 1952 that the idea of the Million Penny Parade was born. Mr. Otto Burich, discussing quantities with his class, came up with the idea to collect a million of something—the question was what? Being a coin collector, Burich suggested they collect one million pennies. The next questions was what to do with the money if they collected that much. With Burich’s wife being Dr. Kate’s office nurse at the time, there was no question the money would be contributed to the hospital building fund. So, it was on November 5, 1952, 500 letters were mailed out as a kickoff for the Million Penny Parade. 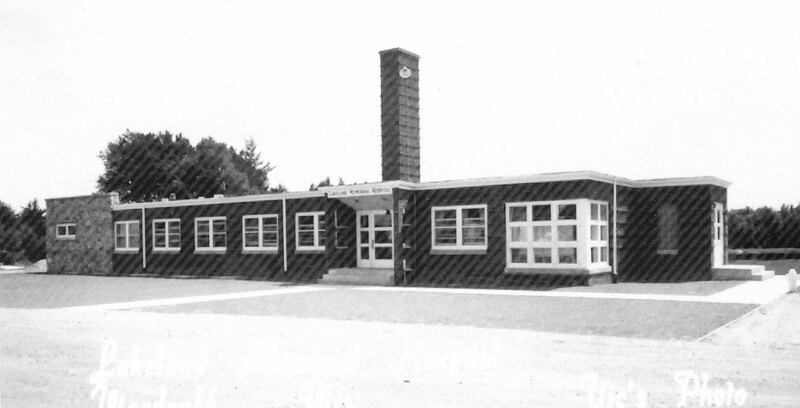 The class reached its goal April 15, 1953, the money was contributed to the hospital fund, and construction was resumed. It was through the efforts of Burich and his geometry class of 16 students that Ralph Edwards picked up the story and invited Dr. Kate to be his guest on the then popular TV show “This is Your Life”. Dr. Kate appeared on the show in Hollywood, California in March of 1954. At the end of the show, Edwards made an appeal to the audience to send pennies to Dr. Kate and through this plea, another $105,000 was collected. Enough to complete the hospital, put on additional rooms, and equip the facility with the most up-to-date equipment available. The hospital, Lakeland Memorial Hospital, was dedicated in March 1954. Thanks to the unrelenting efforts of hundreds of area people, Lakeland Memorial Hospital began its proud 23-year history of community service. It progressed from 19 beds and $55 in cash, to a 65-bed general hospital in those 23 years. Additions to the hospital were constructed in 1962, 67, 68 and 72. Lakeland Memorial was renamed Howard Young Medical Center in 1972. 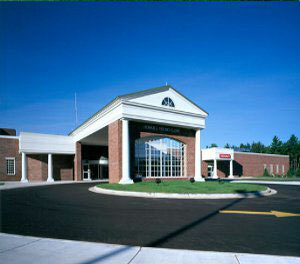 Hospital operations ceased on Feb 28, 1977, with the activation of the new Howard Young complex. It is estimated that more than 130,000 people received care in the old Lakeland Memorial Hospital. 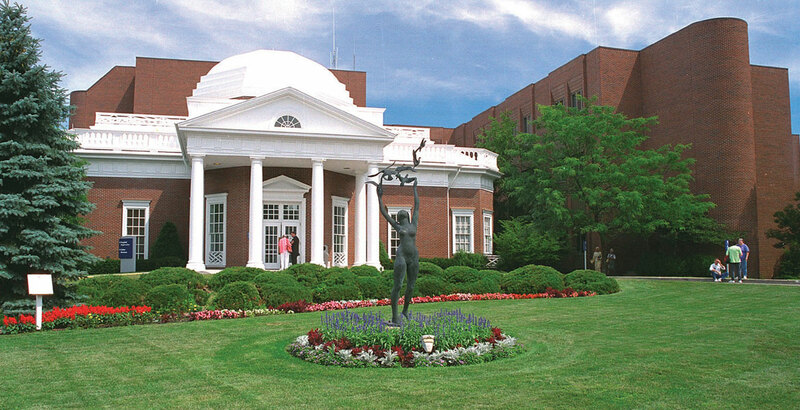 In 1977, the original hospital was converted to a rehabilitation center and later to a nursing home. 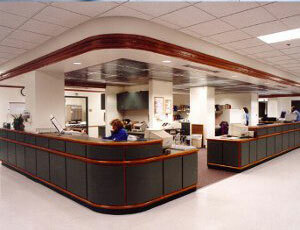 All medical, rehab, and convalescent care in the building ended November 18, 2009. The original Lakeland Memorial Hospital is being razed. Plans are for a Dr. Kate Memorial Park to be constructed on the site where the hospital now stands. There is also a museum in Woodruff that commemorates Dr. Kate’s Life, Otto Burich and the Million Penny Parade, the history of Woodruff and the hospital. Commemorative bricks from the hospital will be sold through the Dr. Kate Museum. The bricks will be from the original building and each will have a bronze plaque on it that reads, “Lakeland Memorial Hospital (Dr. Kate’s Hospital), Woodruff Wis., 1952-2009”. The bricks will sell for $10. For more information, call Marsha Doud at 715-356-5562 or Deanne Ruesch at 715-277-4476. By Appointment During Off Season. The Dr. Kate Museum is the repository for memorabilia for Dr. Kate Pelham Newcomb, the 1953 Million Penny Parade, Geometry teacher Mr. Otto Burich, AV-W High School and grade school and the Town of Woodruff.